Accelerated Mobile Pages(AMP) was introduced by Google to fasten up the Performance and Speed of the Web pages with better User Experience to the Users on Mobile Devices. AMP has a significant importance in Search results, as Google prioritize the AMP results first. Whenever an AMP Version of the Page is created it is highly recommended to set a Canonical URL so that Google can figure out which AMP Page belongs to which Web Page while crawling. A Canonical URL is set to tell the Search Engines that a set of URL’s which are pointing to different/same destinations are actually same. Example 1 – If we create an mDot Version of a website we will set its canonical to the www Version so that Search Engine conclude both pages are actually same. 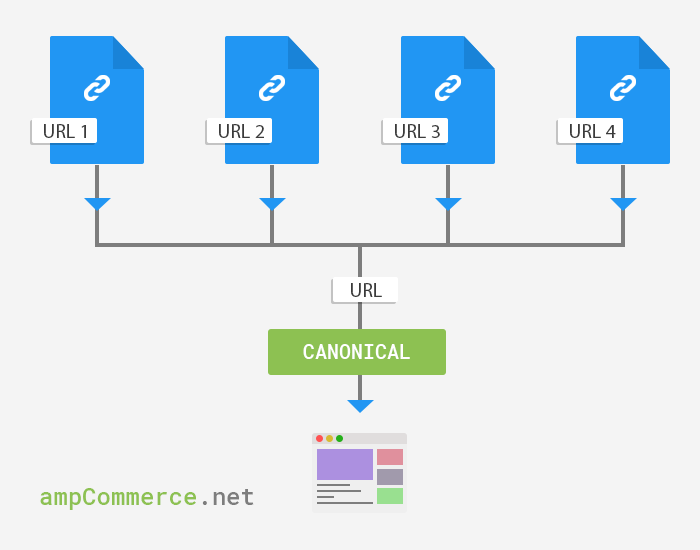 Example 2 – If a website has SSL enabled and serves only specific pages with https:// or serves Web Pages over both http:// and https://, the canonical must be set either to https:// URLS or http:// URLS (https:// Preferred) so that Search Engines can recognize your preferred URL. How to Link a Web Page to its AMP Version? How to set a Canonical in AMP Version? In modern Web of Blogging and eCommerce it’s quite possible to have a set of URLS which points to the exact same destination, that is why it is highly essential and required to define a Canonical in different pages so that Search Engines can know what exactly your Preferred URL is.